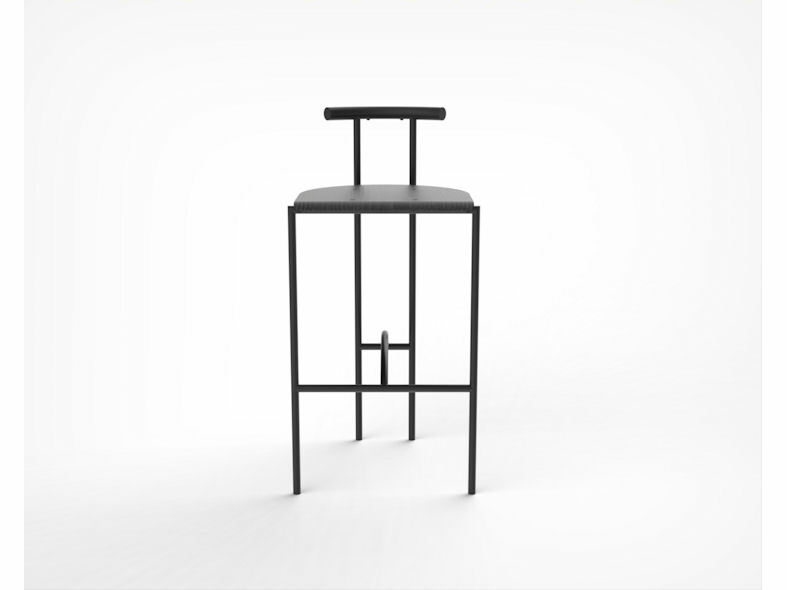 Originally designed in 1985 for London's Groucho Club, Tokyo Stool was launched at the Milan Furniture Fair the same year. 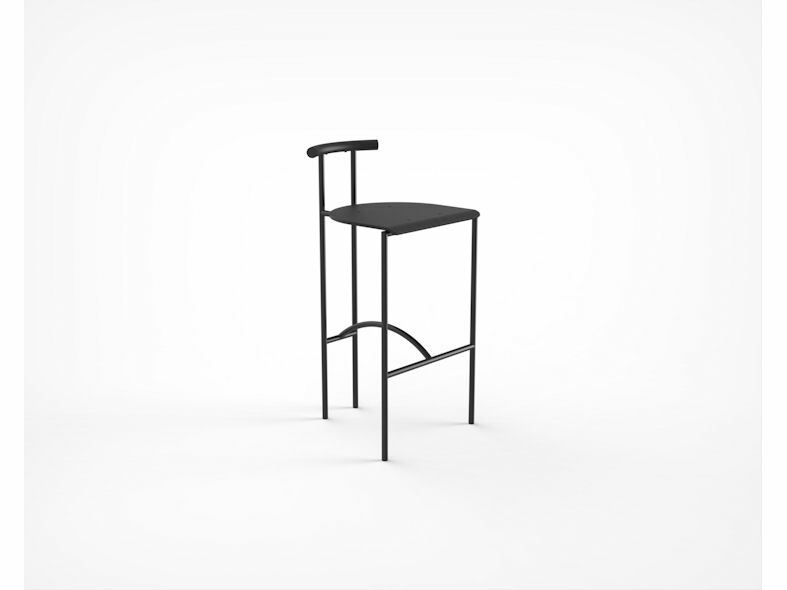 The elegant frame and narrow stance of the rear legs creates a light rhythm and cleaner aesthetic. 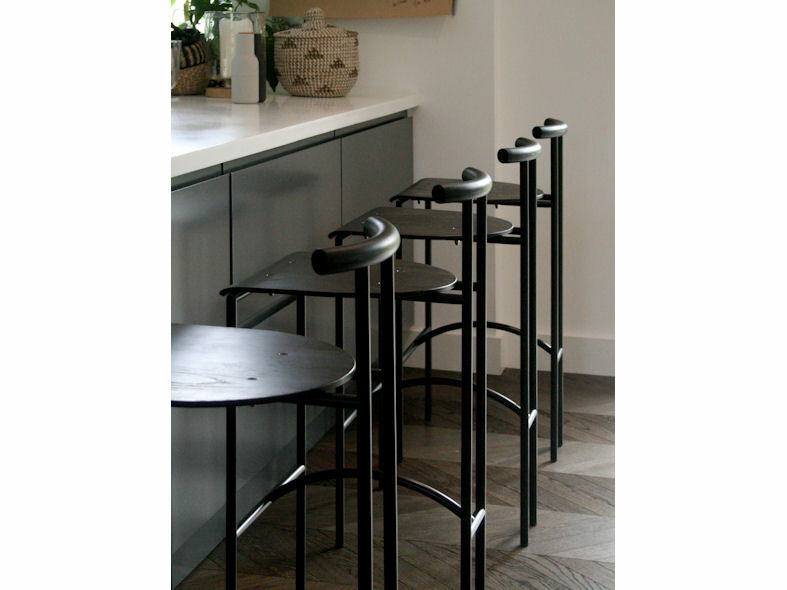 A bar stool is normally seen from behind and in a row - this is the design rationale. 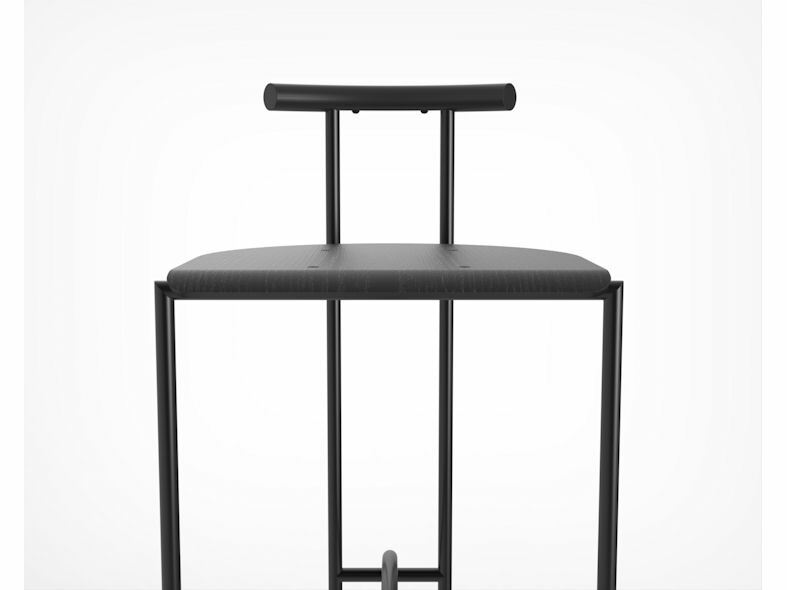 A moulded polyurethane back rest is mated to its distinctive tubular steel frame which is available powder coated or in chrome. 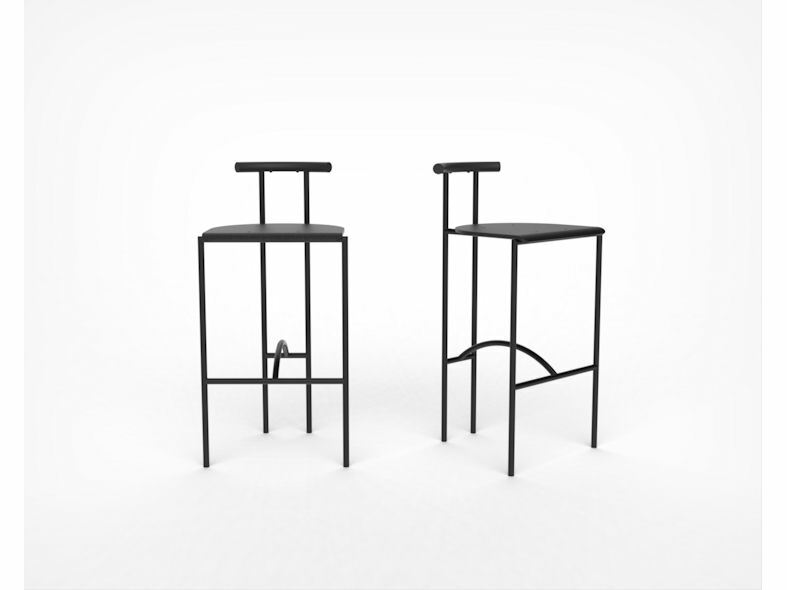 Seat panels are available in either stained plywood or stitched leather.